Grand Bay National Estuarine Research Reserve. 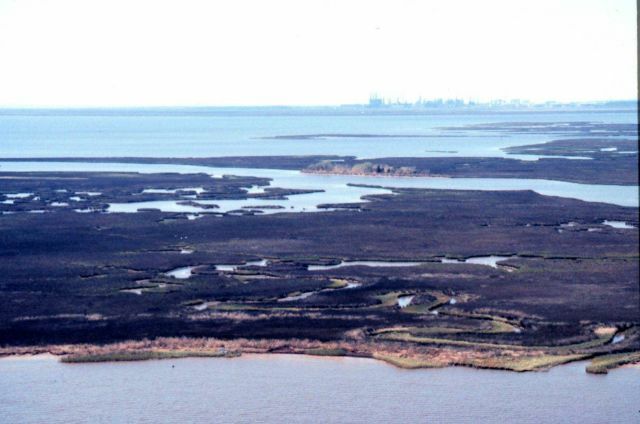 West from Grand Bay showing large vegetated shell midden in center, Point aux Chenes Bay, and Chevron sour-oil refinery five miles in background on western border of NERR. LSU aerial shoreline survey of October 1998.